Let’s face it, no one wants to waste money when they could be spending it on important things or even luxury items. There are many reasons why an air conditioning tune up will save you money. Most importantly, it will help keep repair costs down and minimize the risk of an early replacement. Here are some key problems that happen when an air conditioner is neglected. Remember to call your local Anne Arundel Heating and Air Conditioning pro for a seasonal tune up. Your thermostat should be properly calibrated. This will ensure accurate temperature control and operating cycle. This will save you on operating cost and assure your comfort level. 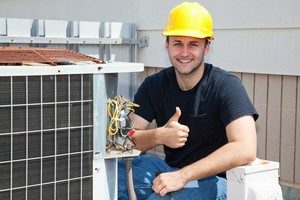 Improper refrigerant charge can damage your compressor, which is the heart of your air conditioning system; this is an expensive air conditioner repair. Systems improperly charged will cause increased electric bills because this will reduce the efficiency of your air conditioning system. The proper refrigerant charge will provide longer equipment life, lower your utility bills and reduce the need for air conditioning service. A dirty condenser coil (outside unit) will reduce your air conditioning system’s ability to remove and reject heat from your home. This will cause your system to run longer and increase your electric bills. The benefit of a clean condenser coil is proper heat rejection, reduced run time and lower energy bills. A dirty air conditioning condenser can lead to system failure and the need for you air conditioner to be repaired. Dirt and house dust that escape through your air conditioning filter can cling to the cold moist coil. This will restrict the air flow through the coil reducing your air conditioning system of performance and capacity. Maintaining the evaporator coil will ensure that proper air flow is delivered to all areas of your home, increase comfort levels, provide better dehumidification, and a cleaner healthier indoor environment. Inspecting and changing your air filter on a monthly basis will help prevent air conditioner repairs. As your air conditioning system removes heat from your home, humidity is extracted from the air. The condensation created by warmer air passing over a cold coil must be drained from your system. This is done through a condensate drain line. The drain must be checked and cleared of algae build up or foreign particles clogging the drain, which could cause water damage to the ceiling or floors of your home. By keeping your air conditioner drain line clear you will reduce the need for air conditioning service and overflow problems which can result in water damage. Proper draining will also aid in maintaining indoor humidity levels. Dirty blower wheels can affect the air flow to your home, limit your air conditioning system’s capacity and your comfort. It can also spread dust particles which irritate sinus and allergies. A clean blower wheel and fan motor will provide maximum air flow, improved comfort levels and proper cooling. Most of Northern Anne Arundel A/C repairs are caused by dirt and the lack of maintenance. Moving parts in need of lubrication can cause increased electrical consumption and air conditioner repairs. This is due to additional power required to overcome the resistance in motors and drive shafts that are not lubricated. Proper system lubrication will offer smooth motor and shaft operation, extended part life and less air conditioner repairs. The electrical components on your air conditioning system should be inspected regularly for signs of wear. Faulty electrical components can lead to very expensive air conditioning repairs. A thorough inspection will reduce the need for air conditioner service if the faulty or worn parts are replaced when found. Having an air conditioning tune up will help reduce the amount of air conditioner repairs you will encounter over your air conditioning system’s life span. If you are in need of air conditioner service make sure the company you choose is licensed and insured to do the required work. If you have questions or need an Air Conditioning Tune Up in the Northern Anne Arundel, MD area, please call Brumwell’s Instant HVAC at 410-360-0002 or complete our online request form.